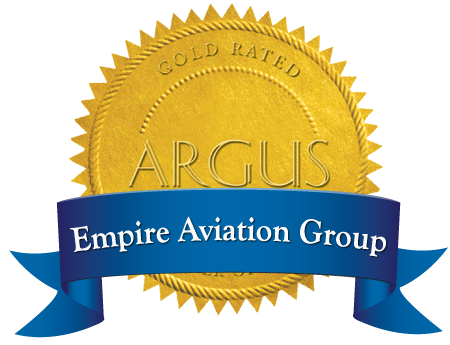 7 November 2013 (Dubai, United Arab Emirates): Empire Aviation Group (EAG), the Dubai-based one stop shop for private aviation – from aircraft sales to aircraft management and operations – and with the largest managed fleet of business jets in the Middle East, has been ranked 22 in the Dubai SME 100 ranking for 2013. This was the first time that EAG had made the rankings and it is the only aviation company in the top 100 SMEs for 2013. Dubai SME 100 aims to support Dubai by developing more growth-oriented, innovative, capable and sustainable enterprises. The 2013 rankings attracted more than 3,000 applications. The recognition comes at the end of another strong year for Empire Aviation Group, during which the company has added three new aircraft to its existing managed fleet; acquired its first managed aircraft in India; sold three business jets to owners; and grown the team to 120 staff. EAG’s managed fleet of business jets now spans the Middle East, Africa and India, and the company has around 23 business jets under management.